Hey there you Android Playing Clammers. Your patience has paid off and we now have the Exclusive Rollo-Cop Joe in our silly lil games. So here is the Exclusive Character Skin you all have been waiting for. WOOHOO!! So now to jump into the detail of this awesome new skin. I PLAY ON BOTH PLATFORMS, CAN I GET HIM? For those of you who play on multiple platforms, yes you can switch to your Android device to get him…however…keep in mind that similar with Golden Suit Peter, he will ONLY work while you are in your Android game. So make sure you are playing on the proper platform to complete all you need to get him and then to put him in action. This means that you need to go to an Android device, start his questline, then can return to an iOS device to finish after Part 1 is done and the option in Part 2 to start collecting on his costume begins. You can start building his costume once you trigger the Rollo Cop Part 1 quest. Joe will have a ! above him. Tap on it to launch the dialog and start it off. Joe will need to Roll in Geek Trash for 6 hours. You will need to have completed Demon Child Part 1 in order to trigger Joe’s dialog to start the process of unlocking his outfit. WHAT DO I NEED FOR HIS COSTUME? WHERE DO I GET ITEMS? 10 Guns (RARE) – Ron Perlman Shop For Tough Guy Bandanas, Joe Do Target Practice, Jerome Be a Superior Athlete. There you have it. 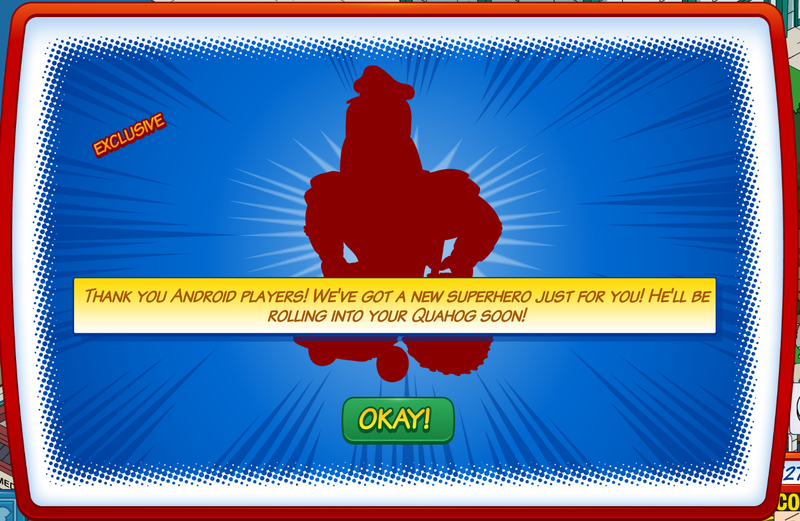 Another fun new character added into the Android Players games for a fun Quahog Comic Con Event. What do YOU think of Rollo Cop Joe? Do YOU have an Android device? Will YOU be borrowing or buying one so you can get him too? Let us know. 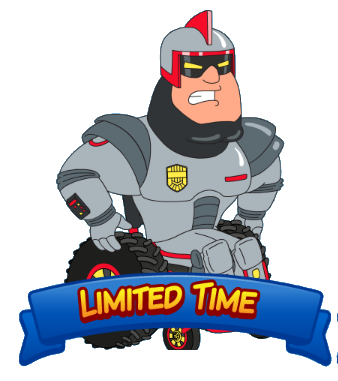 This entry was posted in Characters, Special Event and tagged 2014 Quahog Comic Con Event, Family Guy Addicts The Quest For Stuff, How do I get Joe for Comic Con?, Rollo Cop Joe Android Exclusive. Bookmark the permalink. I already had to spend clams on the multiplier costume, cause of the sudden extremely lousy droprate, I got like one magazine per two / three days, so that wasn’t gonna work for me. (Thankgod I’ve been saving up some clams, as I would NEVER buy them with my own hard-earned money.) ((Filed in some tickets in-game, still waiting for a response.)) 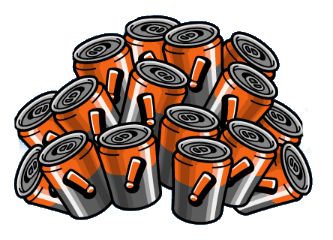 I had bombed at least 1000 stewie minions and still didn’t get one lousy bleeping magazine? Continuously sending quagmire on his quest and not getting any of the six leftover mags? Come on now tinyco! I also wonder if I will make it in time to get the iron stewie, cause I’ve come to 6/20 of those demon scraps (or what’s the name) so far. It’s now become my main worry if I can make it in time, as I will have less time during the coming week. Just about every time the counter resets, it resets to whatever harpoon I DON’T have at that moment. I do have all the fusion reactors, won them in the blam box, but 6/20, a week of event-time left and lesser play time (as we’ve got to eat, sleep, breath, work and do other human being stuff)… I’m really worried that I won’t make it in time. And I bet there won’lt be an extension, nor the option to buy the rest you need with clams. I got extremely lucky to be able to get 5 shots at demon stewie today, which means I either need 10 more of those damned old harpoons (cause I got 3x 5 of ‘m in the blam boxes), OR I will have to get my characters to find me some of those high tech harpoons and wait for the counter to reset. Even if I don’t bring my tablet to work tomorrow, I should have JUST ENOUGH time left to get the last vehicle, and with that, the fabu-jet. No I still don’t have it, as the harpoons have been very against me. I have about a day (plus maybe two or three hours) left to get the thing and just this midday I was finally able to see the 1/7 going up to 6/7. Seriously, when you NEED something, it just DOESN’T drop, that’s the way it’s been going for me for at least a week now. I do have all the blam prizes, all the unique prizes from the blam box, all of the stuff you could buy with blam, building the last one as I speak, no wait, type. 😛 I now only need the fabu-bus and fabu-jet, not really worried about those two anymore, should be able to get it! But the rollo cop joe costume probably needs some clamspending and I seriously hope to get the iron baby in time, but I have a gut feeling I won’t make it in time. By the way, one more thing. When will page seven of the event be here?? The short comic of this event says it’s at page six. Will there be more time for us? Or will they be so lame to drop even more hard-to-get content at the very last day? LOTS of stuff going on in your comment. Lol. Each person has different results. Chips, although not as often, still dropped just fine for me and Alissa. Same with Magazines. I don’t know if it is in how you play or how you attack minions. I do seem to see more items drop with the more minions I attack at a time. Prob better odds that way. As for how the event will end, that is anyones guess as you can see TinyCo is full of surprises. Never know what is around the corner. Yeah sorry, I tend to write half novels for comments. It wasn’t the way I was bombing I think, tried many ways. Tried it with a double cross (when you click one away, you can keep one crosshair and still click the stewies), tried without it. Bombed just a handfull of minions, bombed over 10 of ‘m, it just didn’t help. In the last four days before spending clams, I got just 2 magazines and one of those came from Glen. The droprate of those things just seemed to have severely decreased for me all of a sudden, as I was able to collect them at a steady phase till I got halfway, so I got fed up with it and spent 60 clams on the outfit. I have gotten two chips for Joe now, need three more of those and three tires still. However I’m still concerned I won’t be able to get the stewie costume, as I have only seven of those demon scraps just yet and pretty much no time to play during the week, since vacation time is over. I’ll have to wait for the counter to reset first, as I don’t want to keep gathering 25 of each harpoon for just one shot. Hello Guys! Can any of you notify TinyCo about my issue? Because they never answer me. I have serious problems with Microchips for Rollocop Joe. I currently have 0 and since his release my characters are doing their tasks non stop and not a single one dropped. I know it’s extra rare and random, but since I got 2! maracas for PB&J Brian and 0 microchip. They should change its rate to rare or add some more tasks that earns them, for example from yellow nerds. If not, I doubt I can get it. Thank You! I currently have trouble with both guns and microchips. Only have about 1 of each and I tried many times already. The wheels are ok since I need just one more. I think their drop rates are too low and with the chance of getting something else with some characters, it makes it even lower. I agree it would be awesome if yellow/red nerds drop these items. Ok.im.close to getting quagmires costume and.finally a few items for.joes android costume have started dropping, I like the new mystery box to spend the extra blam.I got the giant stewie and 2 trophy cases a load of.bombs now.I.have 60 too many lol and.some batteries, oh and also.a few harpoons, no clams.yet, I have noticed that when.I have bombed or zapped I have had a green tentacle drop its happened twice what gives?? just to clarify, Rollo-Cop won’t work on iOS even after starting the questline on Android? Because the Facebook post says otherwise. Hey Alissa. I did the same thing. Played on Android then went back to my iPad Mini and my Rollocop is invisible as well. But then I switched to “regular Joe”, (no pun intended, haha!) and he’s invisible as well now. That’s really odd…did you try a hard close? No, I didn’t try that. But that probably would have worked, because I sent “regular” Joe on his 1-hour task and close out. When I relaunched the game after the hour, he was there. So I’m hoping they’ll be able to fix whatever is wrong with that skin. I haven’t gone back to the Android to see if Rollocop still appears or is invisible there. Just unlocked Robo Joe and he is working fine for me! Hopefully your device is fixed now! ALL platforms? Seems like a lie to me, unless they’ve just not mentioned Kindle as usual. How were we to know for sure that Kindle users would be excluded from the Android exclusive, when for most (if not all) other instances we were unmentioned yet included with the Android crowd? I’m a little bummed by the lack of RolloCop Joe on Kindle, but more upset by the lack of civility between platform owners.